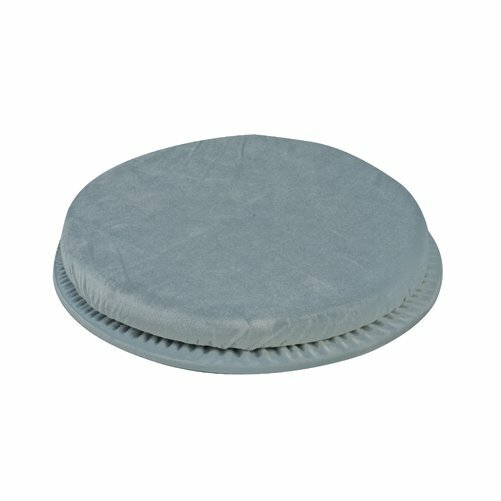 You are buying the Mabis DMI Swivel Seat Cushion Gray 15-1/2" which is manufactured by Mabis DMI. Mabis is a leading manufacturer of Seat Cushions. At ADW Diabetes, we do our best to offer the complete product line by Mabis with excellent pricing and fast shipping. Swivel seat cushion allows 360 degree swivel action which effortlessly enables a person to twist and turn in any direction helping prevent hip and back strain. Comfortable Polyfoam padded seat with removable cover. Weight capacity 300 pounds.